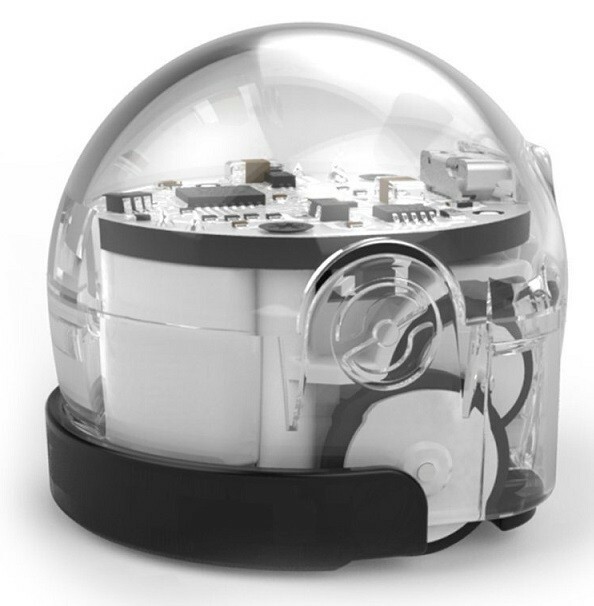 Ozobot is one of the world's smallest programmable robots, measuring just over 1 inch in height and diameter. But don't let its small size fool you! 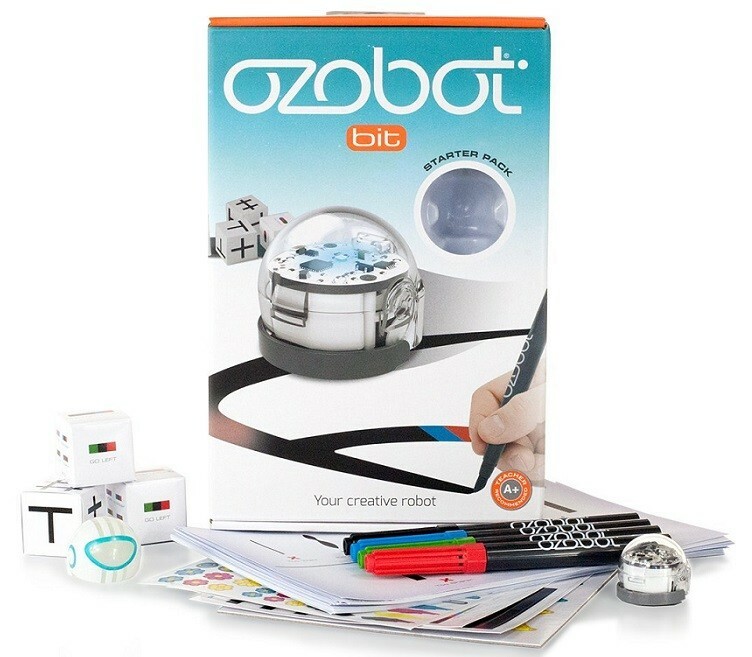 Ozobot is a powerful learning tool that teaches children the basics of coding and programming in fun, interactive ways. 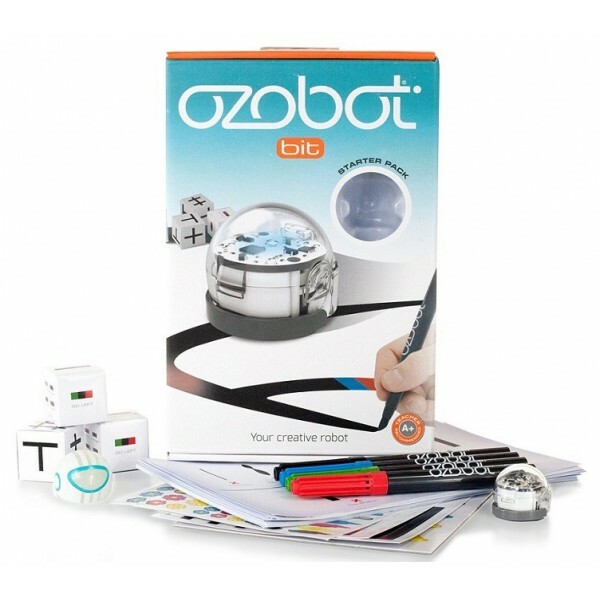 It's easy to understand color coding language makes Ozobot the perfect choice for introducing young minds to concepts that will be vital to their success in the 21st century. With structured STEM/STREAM lesson plans and workshops available for free on OZOBOT.com, teachers and parents can use Ozobot as a cutting edge educational tool that helps kids learn while playing! This starter kit includes one Ozobot robot, a charging cable, four Ozobot markers, two Ozobot skins, an OzoDice game, an OzoCode reference sheet, and directions for 20 additional activities.